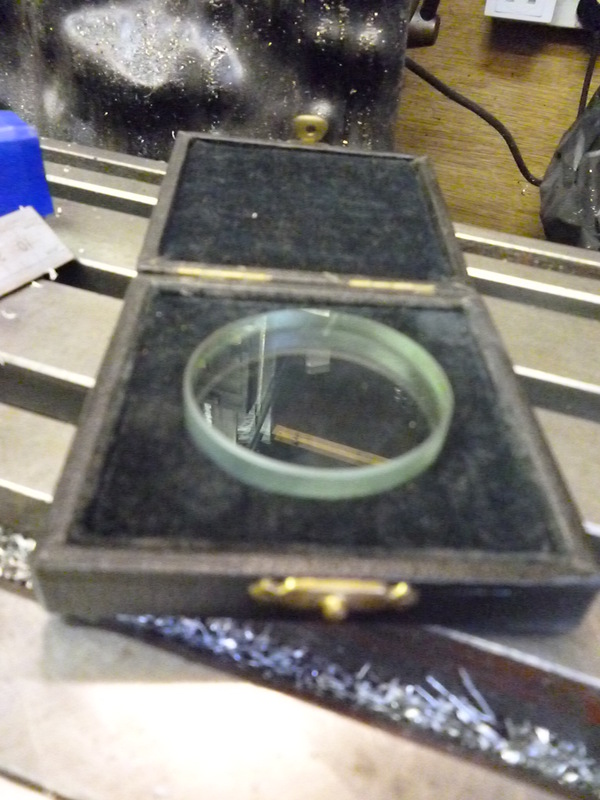 Optical flats and parallels are round pieces of glass often about 12mm thick. Otherwise they are completely different. 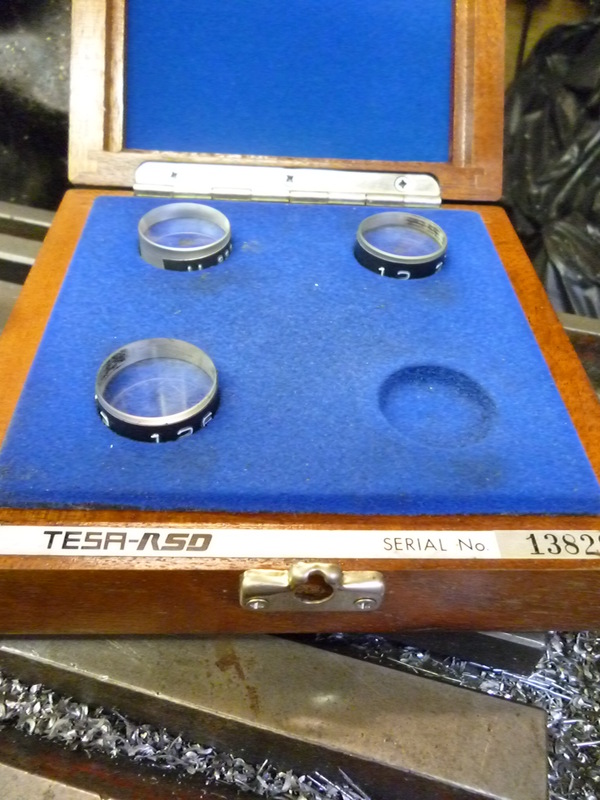 Optical parallels are usually about 12mm thick and 20mm in diameter. They are supplied in sets of four. They are used for testing that the anvils of micrometers are parallel. They are 12mm thick because this testing is done half way between 0mm and 25mm. They are made so each will fit the micrometer with the movable anvil rotated through an eigth of a turn. For example, if the first is 12.000 mm thick, the next will be 12.125mm, then 12.250mm and then 12.375mm. The actual values might vary slightly from these nominal values but regardless of this they will be accurate to at least 0.001mm. In the photo above one is missing. This is frequently the reason that a set like this is sold for very little. If one of the anvils is not square then it will be possible to see interference fringes between one surface of the parallel and the anvil it is touching. For this to work, the two surfaces of each of these parallels must be perfectly parallel. An optical flat is different in that it is designed to have at least one perfectly flat surface. This is for comparing the height of two parts where the difference in height is of the order of the wavelength of the light being used. This only requires one surface to be perfect and it does not require the second surface to be perfectly parallel with the first.